The National Music Centre is pleased to offer extended hours and discounted rates for visitors to Studio Bell on April 10. Grab your pal or partner and enjoy a special $10 admission per person from 5pm to 8pm. Calling all kids and teens! Head over to Level 1M at the Central branch on Thursdays to build, create, and explore. LEGO provided. April is Poetry month and Loft 112 is celebrating with their 3rd (almost) annual Poetry Potluck. Think you have to dress up and head downtown for amazing classical music? Think again. Every month, creative triple-threat Eileen Kosasih presents a world-class chamber and classical show at the Eddy with talented pals. This week, Eileen is joined by sultry soprano, Kathleen Morrison. Join award-winning, innovative architects/artists Lesley Beale and Jeremy Sturgess for an evening of conversation and a special three-course dinner, created in their honour by the chefs, bakers and pastry chefs at Sidewalk Citizen Bakery. Alongside host Dr. Geoffrey Simmins, Lesley and Jeremy will discuss landmark structures in the city and beyond, Calgary’s evolving urban identity, the vision for our city’s future, and the accompanying challenges and opportunities. It’s true, making really exceptional coffee takes time, commitment and training, but that doesn’t mean you can’t do it yourself at home! 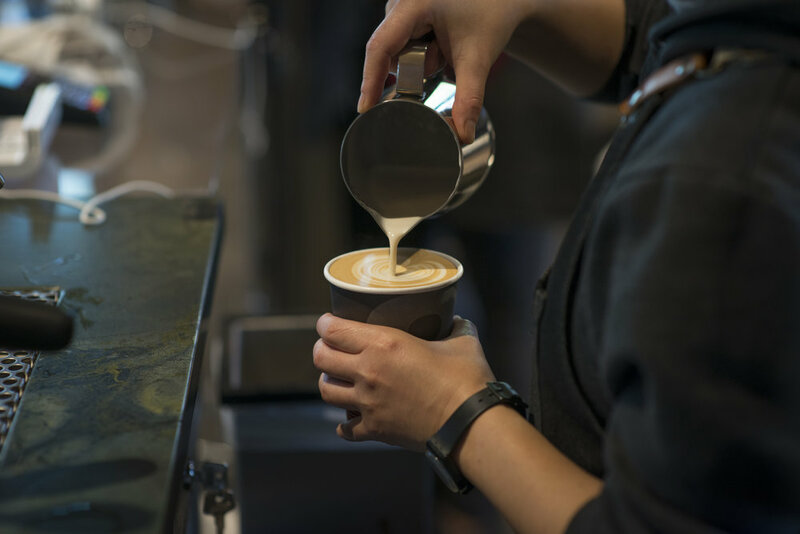 Learn how to steam milk to produce creamy micro-foam, then master the basics of pouring latte art. Raw Canvas by Paint Parti offers painting, tapas and drinks for a night of fun! Follow step-by-step instructions by the instructor or mix in some of your own artistic flair to create a beautiful finished painting. No painting experience is necessary to let your inner artist shine!